The Centers for Disease Control and Prevention have come to the startling conclusion that just one in 10 people eat enough fruits and veggies. 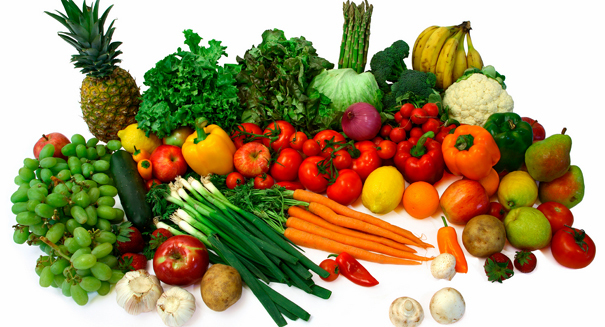 Take a good, hard look at your diet, because chances are, you’re not getting nearly enough fruits and vegetables. That’s the conclusion of a new rewport from the Centers for Disease Control and Prevention, which found that one in 10 people aren’t eating enough fruits and vegetables, and that can lead to significant health problems. We often fuss at our kids to eat their fruits and veggies, but we often aren’t following our own advice. While federal guidelines recommend adults consume about two cups of fruit and two to three cups of vegetables each day, only 12 percent of adults meet that standard, and just 9 percent of adults reach their quota on vegetables, the CDC says. When you’re shopping for fruits and vegetables, keep a few things in mind. First of all, just because the produce looks good doesn’t mean it is good, so don’t shun irregularly shaped produce. Use your hands to feel the produce and determine if it is in their prime. And try to buy fruits and vegetables when they’re in season.